It can be a real dilemma for you to balance your child’s summer fun and respite with continued dyslexia tutoring or therapy. You feel somewhere between a seal balancing that ball and a juggler keeping those balls in the air! Summertime’s approaching. School’s almost out. “Thankfully,” your child says! For many of our dyslexic kids, summer is a time to de-stress. Those months from September to June can be so trying when you cannot perform in the same ways as your peers in reading, spelling, and writing; when you work so hard to memorize those words and still come home with those spelling papers all marked up with red pen; when others in your class can easily read the assignment and you have no idea where to begin. Finally—summer and freedom! Well, not quite—there’s tutoring or therapy. Summer provides an ideal time to catch up on some of those gaps in learning that exist due to the dyslexia, to reinforce and hone skills, and importantly, to learn new ones. 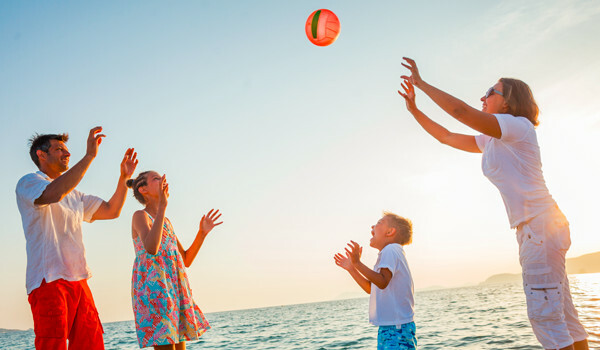 It can be a real dilemma for parents to balance these two seemingly different sides of the coin—summer fun and respite with continued work in those areas of challenge. You feel somewhere between a seal balancing that ball and a juggler—keeping those balls in the air! Last year I wrote about ways to incorporate your child’s interests and strengths into his or her summer program while enhancing language and literacy skills, so I’ll not repeat that. You can read that here. I thought I’d offer some suggestions that I have recommended to the families with whom I work on ways to build an intensive treatment program into your child’s summer. The research has clearly demonstrated that intensive and frequent language and literacy therapy is more effective than less frequent and less intensive therapy, so it behooves us to design as intensive a program as possible. Of course, this must balance personal resources—time and money. For example, if you can afford 15 sessions of therapy over the course of the summer, outcomes are improved if those sessions are amassed together rather than distributed out over many weeks. So, three weeks of 5 days/week or 3 days/week over 5 weeks should yield better outcomes than twice or once weekly. Therefore, if possible, try to schedule your child’s summer intervention in intensive blocks of time. I have a young girl with whom I’ve been working for a few years now (yes, intervention with a dyslexic is long-term). Over the years, I have seen her twice weekly and she’s seen a tutor as well. This past school year, I saw her once/week. She had kind of a tough year, with some unforeseen medical issues that popped up and for which she has had to learn to cope. As a result, I have recommended that we take a little break from therapy and then hit it hard in the middle of the summer. I have her scheduled for Tuesday-Wednesday-Thursday for 75-minute sessions for three weeks in July. I will bring her in one additional day the first week so that I can baseline her skills, as some will have likely slipped over the 8-week break. Then, I will quickly review material that may not have solidified by the end of the school year and still have plenty of time to target some new content and skills. We may then touch base for a few sessions just before school begins later in August. As always, it depends on your child’s individual needs as to what might be best at this particular time in his or her development. With the child above, she will be starting 4th grade, where the curriculum shifts and students are expected to use their skills in reading to learn. This can be particularly challenging for our dyslexic kids. For example, along with this curriculum shift, over 60% of unfamiliar words that students encounter in the 4th grade are comprised of prefixes, suffixes, and roots (Nagy & Anderson, 1984). Therefore, now is prime time to target Latin and Greek roots with her, and we can do this easily when we’re working intensively during the summer. As much as possible try to include your child in the discussion about his or her summer activities. I have another client, a 6th grade boy, who is quite dyslexic and who came to therapy kicking and screaming (well, not really as he is a very nice kid, but he was not happy about it). We have worked together for nearly two years with sessions scheduled 2–3 times/week; and over the course of time, his attitude has taken a 180 degree turn. He will be gone much of the summer, and as we were recently talking about summer therapy, I said, “I think when you are in town we need to hit it three times/week and then we can Skype or FaceTime when you are gone.” Without missing a beat, he responded affirmatively. I think that I got buy-in so easily because he has experienced the growth that has come out of our working together, and he knows what he needs to do vis-à-vis therapy in order to achieve. It will depend on your summer activities as to when you slot the intensive therapy into your child’s schedule. For example, if football camp begins in August, then you might want to schedule therapy for the month of July. If you are traveling for a week over the 4th of July, then go with two weeks at the end of June and another 3 weeks in July. For some kids, getting a jump start on the school year in August may be the way to go. There is no one way to do this. As I say to my kiddos in therapy, flexible thinking is an important skill to have! Be flexible. Think of your options. As a clinician, my summer therapy schedule is a moving target as I accommodate the individual needs of my clients and families. Don’t forget that summer activities and family trips provide great opportunities to enhance your child’s word (i.e., vocabulary) and world (i.e., experiences in and with life) knowledge. One’s vocabulary (i.e., word knowledge) plays a huge role in learning to read when kids are younger. And, one’s world knowledge helps make better connections with newly learned information. So, preview those parks, zoos, museums, cities, and areas that you might be traveling to this summer. Talk about what you expect to see and do. Review the activities upon completion. Did you do everything you’d planned? Did anything stand out as memorable? Keep a family journal, a blog, or a photo collage to help remember. For some kids who are further along and have a good corpus of skills, they may not need the intensive option this summer, but merely need to touch base on a weekly basis. Your child’s teacher, clinician, and/or tutor should be able to provide guidance as to what route you need to go. Ultimately, you, as a parent, are best situated to know your child’s needs, activities, and daily demands. I recommend starting early and nailing down all those juggling balls onto a calendar for the summer—a calendar that balances academic intervention needs with activities of interest and a bit of fun and relaxation! You’ve all earned it! I am indebted to my colleague Dr. Lauren Katz for her thoughtful review of this piece.